Carmen was born in Grand Rapids, MI but spent the majority of her adolescence in the western suburbs of Chicago. She attended and graduated from Timothy Christian Schools. The idea of after school sports and exercising til her face grew as red as a tomato held little appeal. So, she was a member of the Glen Ellyn Children’s Chorus for 9 years instead. In addition to singing with the choir she participated in school musicals and All-State/All-State Honors Choirs. Her senior year she was rated the #1 soprano in her school’s district. Following graduation she chose to return to the Dutch Mecca – Grand Rapids, MI and Calvin College. While at Calvin she was a member of the Oratorio Society, the Calvin Alumni Choir, the Capella, and an original member of the Women’s Chorale. For two years she was the soprano section leader of the Hope Reformed Chancel Choir under the direction of Dr. Joel Navarro as well as two years as a Choral Scholar at St. Mark’s Episcopal Church under the direction of Dr. Howard Slenk and Dr. Karl Schrock. In 2006 Carmen graduated from Calvin with a double major in Music Education and Vocal Performance. In 2009 she completed her Masters in Music Education from VanderCook College of Music in Chicago. 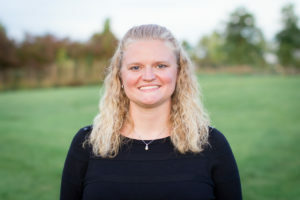 Carmen completed her first year of teaching K-8 music at Walker Charter Academy and is enjoying her current position as PreK – 5 music teacher at Hudsonville Christian Schools. When she’s not singing with The Choral Scholars or teaching, which is not very often, she enjoys scrapbooking, reading, traveling, and spending time with family and friends.